Orius insidiosus is also called the minute pirate bug. There are several species of Orius sold commercially around the world but in North America, only O. insidiosus is allowed because it is indigenous. It is usually just called Orius. Orius is a generalist predator, feeding on various soft-bodied insects and mites, but thrips are its preferred food source. Both the adults and immature stages of Orius are predatory. Because it is native, large populations of Orius develop each year on outdoor flowering plants and weeds by late summer. They can enter greenhouses naturally, if pesticide pressure is low. The active immature stages are called nymphs. The youngest stage is very small and light yellow in colour (figure 2). Through successive nymphal stages they darken in colour (orange) and increase in size (figure 3). There are three immature (or nymphal stages) stages. Life cycle from egg to adult takes about 10 days at 25oC or longer at colder temperatures1,2. The long life cycle means that it can take 6-8 weeks for Orius to establish in the crop and build up sufficient numbers for effective thrips control. Apart from prey food, they also feed actively on pollen which allows them to establish on pollen-producing crops such as sweet pepper, even in the absence of thrips or other prey. Orius is usually sold as adults in small plastic bottles with a carrier such as buckwheat hulls, which allows the Orius individuals to avoid each other and minimizes cannibalism while in transit. It is sold in quantities of between 100-2000. Orius (with the carrier) is easily distributed manually throughout the crop. It is a strong flyer and very active. Because of their mobility, even coverage throughout the crop is not as important as with other BCAs such as predatory mites. Recommended introduction rates are usually between 0.5-5/m2 depending on the crop and thrips pressure. Because Orius can take time to establish and build up to a level that will provide thrips control, especially in crops without pollen (see Crop considerations, below), it is often recommended to have other thrips control options (e.g. 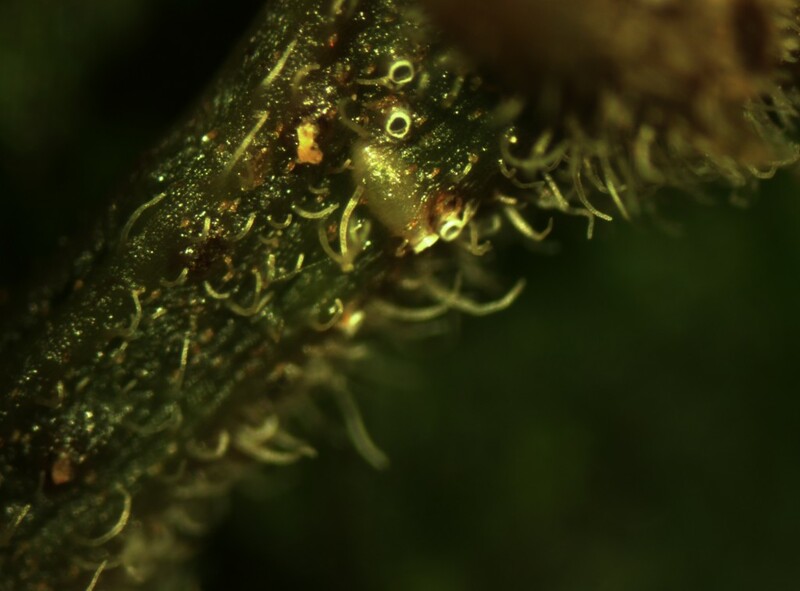 predatory mites, microbial products) in place. Ornamental peppers are used by some growers as banker plants, providing food (pollen) and oviposition sites, to build up populations of Orius in the absence of thrips3. There has been an increasing number of studies evaluating the use of supplemental food sources for Orius4,5. These include loose applications of pollen, flour moth (Ephestia) eggs and cysts of brine shrimp, Artemia (also known as “sea monkeys”). These are used to assist in the establishment of Orius in the absence of thrips, and have shown considerable potential for commercial use. The most important consideration for Orius is the fact that it is a diapausing insect, becoming inactive during the shorter and cooler days of the year. As such, in the northern hemisphere, its use in the greenhouse is restricted to about March-September/October. Introductions during in the late fall or winter will not be effective, except perhaps where supplemental lighting is used in warmer crops. In early spring, supplemental light and warm temperatures may aid establishment. 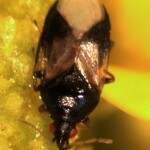 Established populations can be detected on yellow sticky cards, although not usually in high numbers. Crop observations are perhaps a more important monitoring technique. Tapping out flowers or whole plants over white paper or a white tray can detect both immature and adult life stages. If banker plants are used, close monitoring of them makes it easier to see when nymphs are present, indicating reproduction and the establishment of the population. Orius effectiveness is very dependent on the crop. In sweet pepper, for example, they are an excellent BCA, partially because of the pollen production in that crop, which allows them to establish easily. In other crops, they are not as effective. In cut roses, the woody nature of the plant makes it difficult for females to lay eggs. In cut gerbera, Orius build-up can be self-limiting because eggs laid into the flower stems, and mobile stages in the flowers are removed when the flowers are harvested. 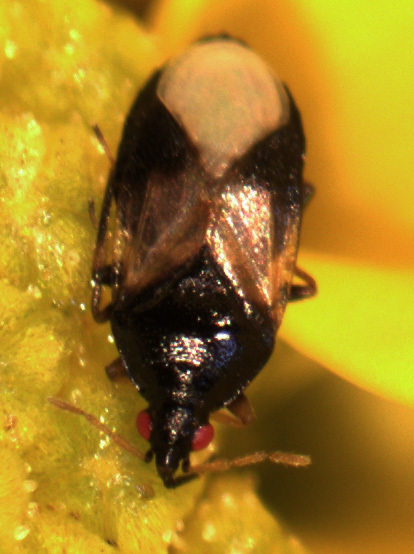 If supplemental food such as pollen is used to help Orius establish, growers need to be aware that western flower thrips also uses such foods as an important source of nutrition. Thrips populations need to be closely monitored to ensure that they are not benefiting more from the supplemental food than is the predator. Castañé, C. and Zalom, F.G, 1994. Artificial oviposition substrate for rearing Orius insidiosus (Hemiptera, Anthocoridae).Biological control, 4: 88-91. Malais M.H and Ravensberg W.J. 2003. 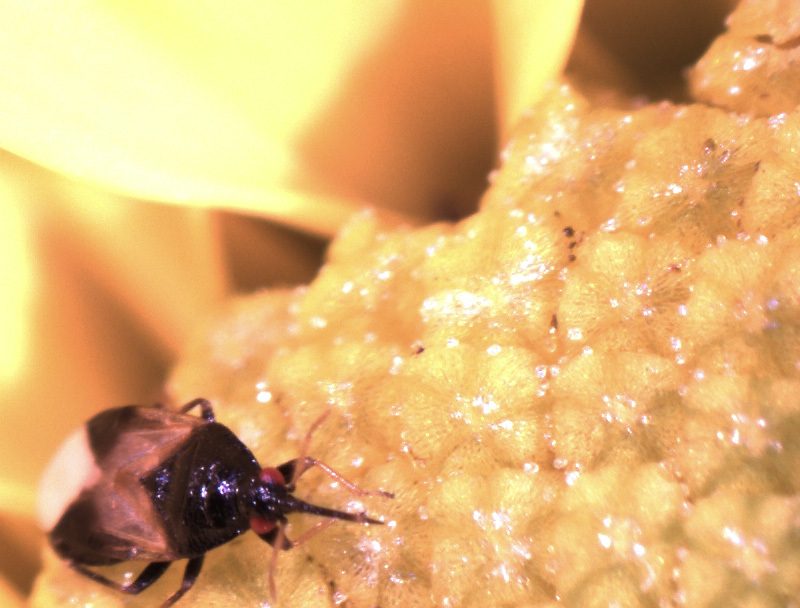 Knowing and Recognizing: The biology of glasshouse pests and their natural enemies. Koppert BV, Berkel en Rodenrijs, The Netherlands and Reed Business Information, Doetinchem, The Netherlands. Waite, M. O., Scott-Dupree, C. D., Brownbridge, M., Buitenhuis, R., Murphy, G. 2014: Evaluation of seven plant species/cultivars for their suitability as banker plants for Orius insidiosus (Say). BioControl 59: 79-87. Calixto, A. M., Bueno, V. H. P., Montes, F. C., Silva, A. C., van Lenteren, J. C. 2013: Effect of different diets on reproduction, longevity and predation capacity of Orius insidiosus (Say) (Hemiptera: Anthocoridae). Biocontrol Science and Technology 23: 1245-1255. De Clercq, P., Arijs, Y., Van Meir, T., Van Stappen, G., Sorgeloos, P., Dewettinck, K., Rey, M., Grenier, S.,Febvay, G., Nutritional value of brine shrimp cysts as a factitious food for Orius laevigatus (Heteroptera: Anthocoridae). Biocontrol Science and Technology 15: 467-479.